Board certified, Marieli A. Colon, DPM graduated with honors from the University of Puerto Rico with a Bachelor of Science degree in Pre-Medical Sciences. 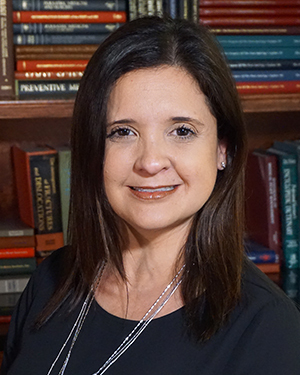 Dr. Colon earned her medical degree from Barry University in Miami Shores, Florida, and completed her residency training in podiatric medicine and surgery at Sacred Heart Hospital in Chicago, Illinois. Dr. Colon is a Diplomate of the American Board of Multiple Specialties in Podiatry and Board Certified in Primary Care in Podiatric Medicine. Dr. Colon is a member of the American Podiatric Medical Association and the Georgia Podiatric Medical Association. Dr. Marieli Colon, DPM is on staff at Atlanta Medical Center and is fluent in both English and Spanish. Dr. Colon is a shining example of the quality physicians at American Foot & Leg Specialists. She is an experienced expert in the field of podiatry. If you are experiencing foot pain or have a chronic foot condition, call to make an appointment at American Foot where you are treated by caring and committed physicians. If you live or work in south Fulton County or south of the city, there is an American Foot location close to you.